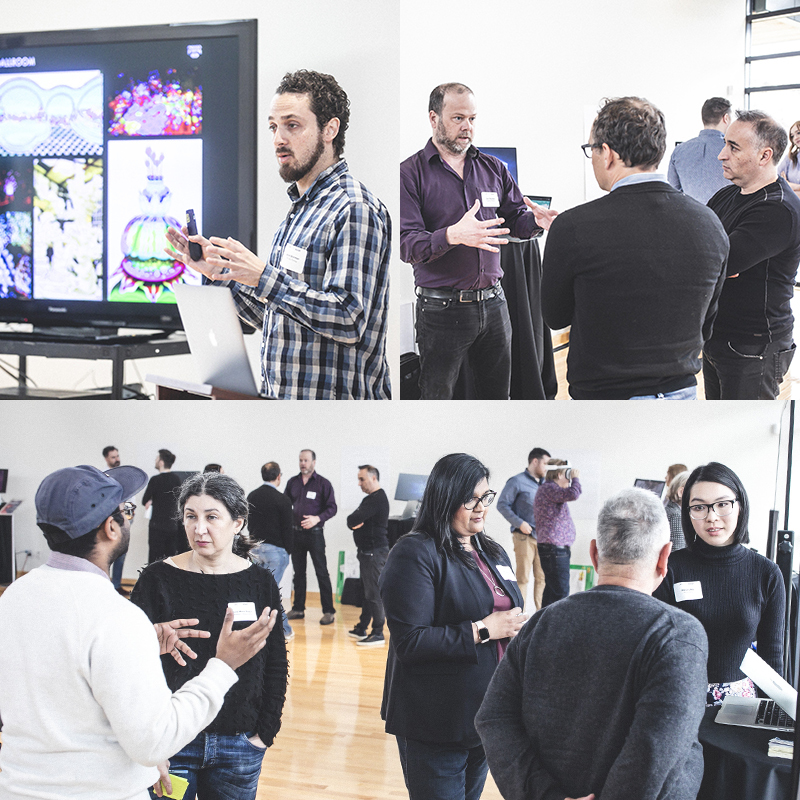 On Thursday, April 11 and Friday, April 12 at the Canadian Film Centre (CFC), IDEABOOST mentors, lead guides, and CFC Media Lab staff gathered to meet the seven startups in the IDEABOOST Accelerator’s Cohort 8. 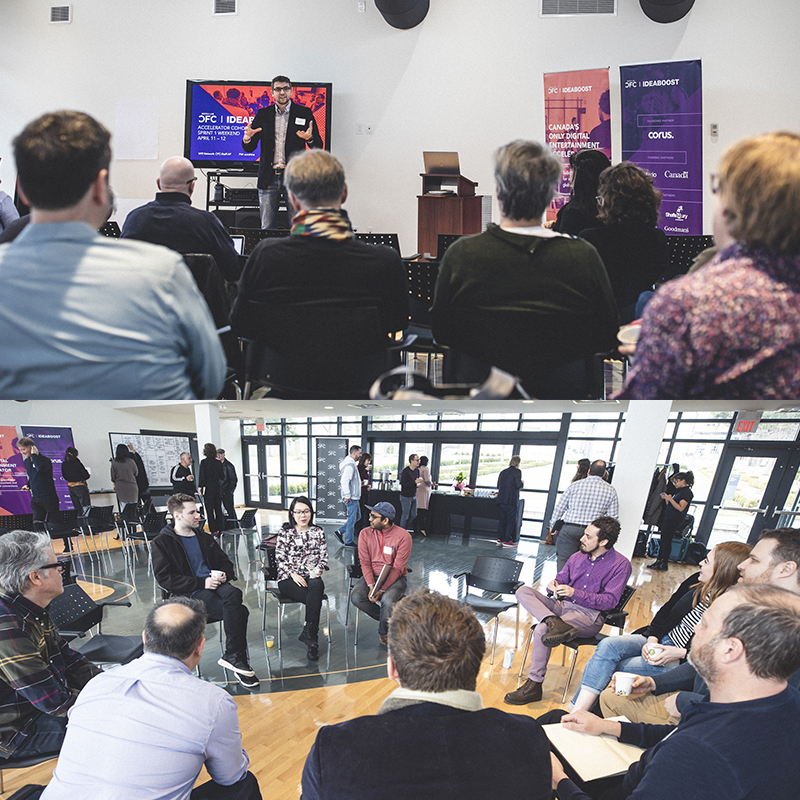 The two-day intensive kicked off the first of four meetings, or “sprints,” this spring between the companies and industry experts who can diagnose each company’s business needs from every conceivable angle. Their primary goal for this first sprint? Discovering each company’s long- and short-term business objectives and setting achievable goals for their experience in the Accelerator. Startup founders are laser-focused on getting people’s buy-in. That means having their guard up the majority of the time and being able to answer difficult questions with confidence. For the start of this first sprint, “we need to break through that wall and get a look ‘under the hood,’” says Aaron Williamson, Program Director for IDEABOOST. 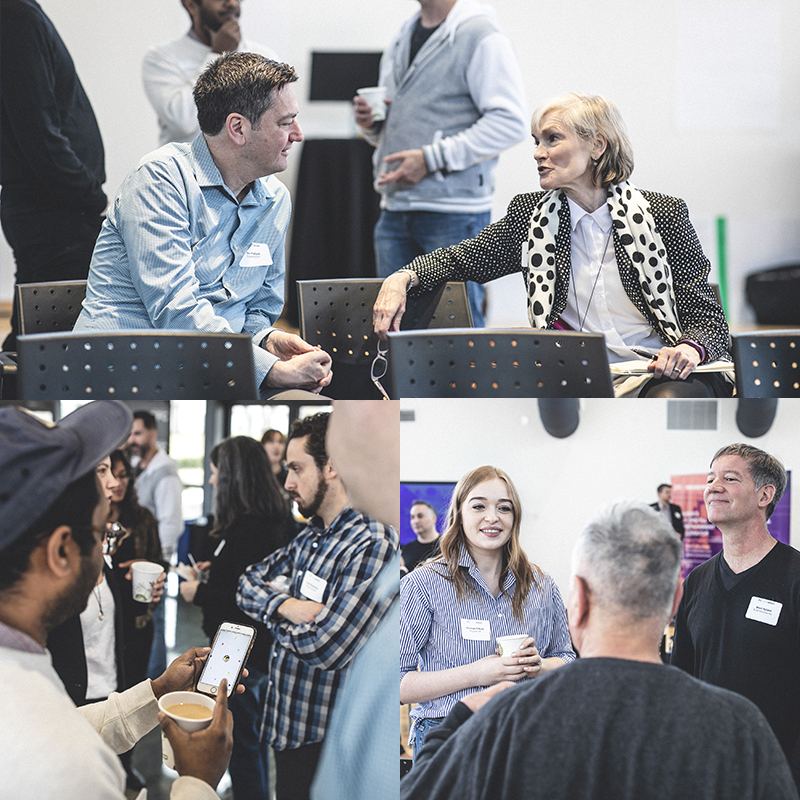 “It’s about building a braintrust with experts in the field and creating a safe space for founders to be able to share openly” – a critical first step in the Accelerator journey. Time is the single most scarce commodity in the life of a startup founder. It’s why some strategic steps get glossed over or put on the back burner; all efforts are turned to more pressing matters at hand, such as raising funds or customer acquisition. Taking part in the Accelerator “means giving yourself permission to step back and gain a broader perspective, allowing an overall business strategy to take shape,” Williamson adds. Much of this first sprint is geared towards backtracking, redefining primary objectives, and reexamining the product-market fit – not always easy when you’re about to scale. The two days’ programmed modules are designed to uncover the baseline for each company. That’s when the hard work of defining a core business strategy, revenue modelling, pitch coaching, branding and more, begins. Cohort 8’s companies are at a slightly later stage and therefore more willing to accept the help. “It takes grit and commitment,” explains Maduri. “There are lots of moving pieces to manage and optimize at once.” The fact that these founders are willing to integrate the learnings bodes well for their future successes. “It’s a lot of new information intake and I'm struggling to process it all right now," says Erik Peterson, Origami XR founder. "I need time to rest and digest everything we just heard.” It’s a sentiment shared by his colleagues, who have just gone through a series of rigorous, hyper-focused work sessions. These feelings illustrate the effort and sheer brain power put in over the two-day sprint. It’s difficult to undergo this level of scrutiny by various industry experts while still running a viable business, but it’s necessary in order to set the right growth trajectory. Overall, the lasting effects of this first two-day sprint have established a strong foundation for the next three to come, and sketch an encouraging prognosis for all seven companies involved. We look forward to seeing where they go from here. Keep up to date with Cohort 8’s journey and all of CFC Media Lab and IDEABOOST’s news – sign up for our monthly newsletter here.